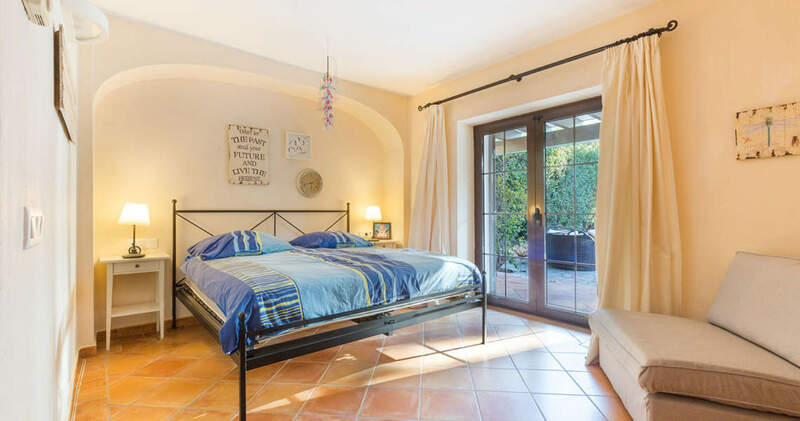 This south-east facing villa with an inviting, Mediterranean atmosphere is located in a well-tended development with 10 apartment buildings and 20 villas, outdoor pool, indoor pool, parking places, night watchman and lush gardens. 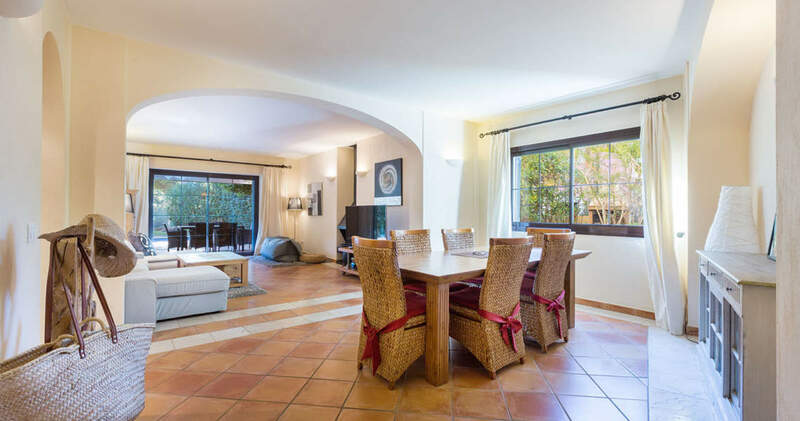 The Port Adriano marina with exclusive restaurants, bars and shops as well as the village El Toro with small shops and a beautiful beach are within walking distance. 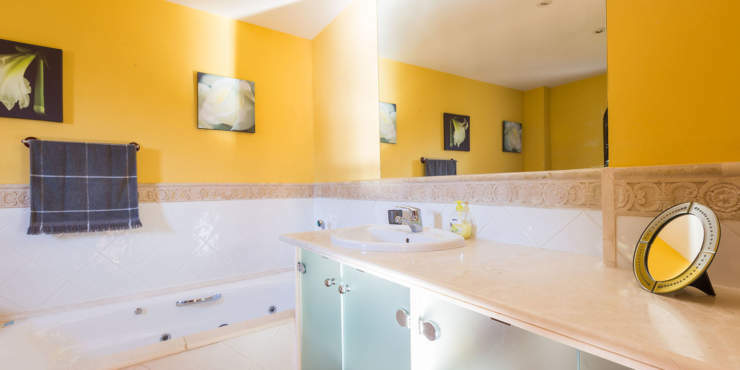 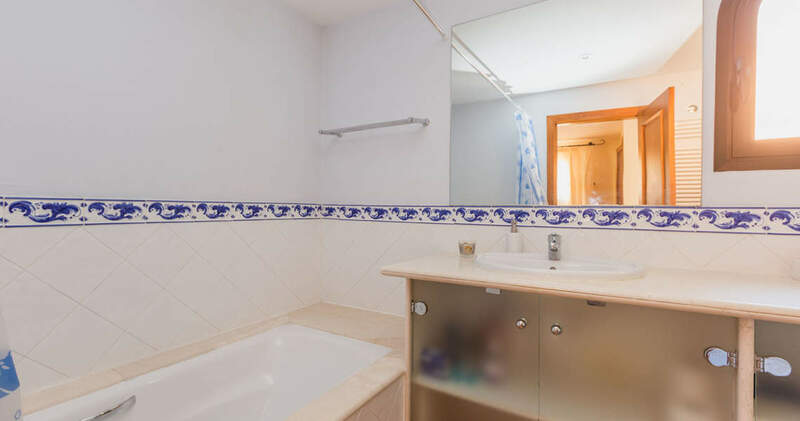 The house offers all amenities and features a living/dining with a large roofed terrace, the kitchen, a utility room, a guest toilet and one en suite bedroom. On the top floor are two bedrooms with en suite bathrooms and a terrace. 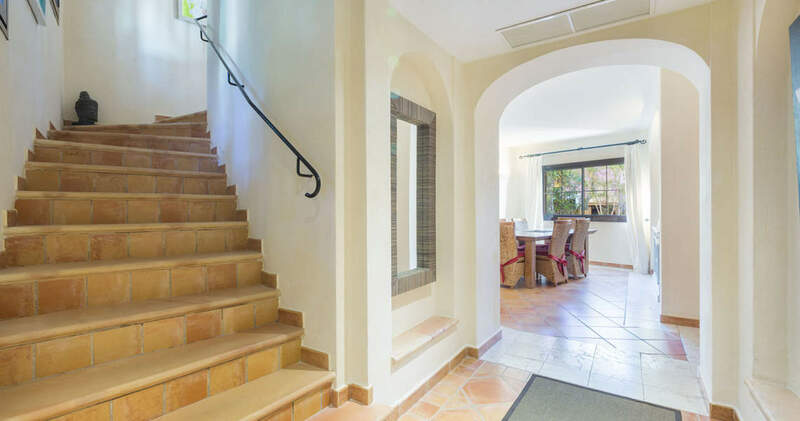 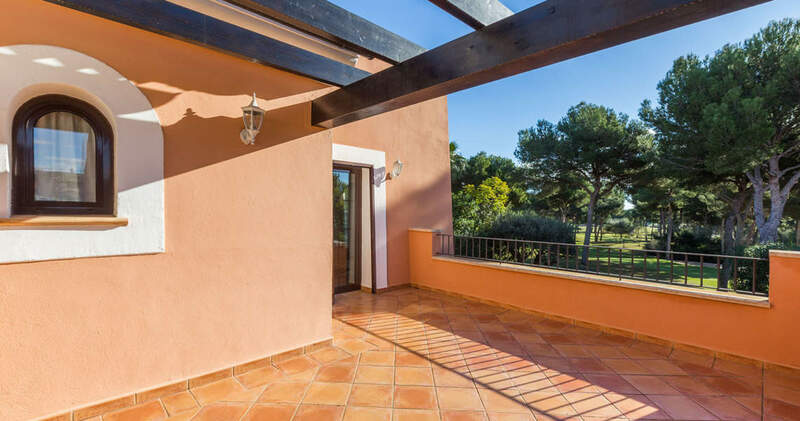 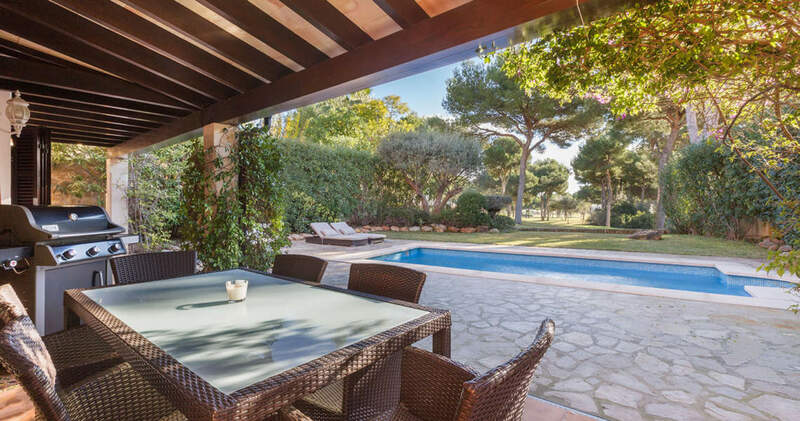 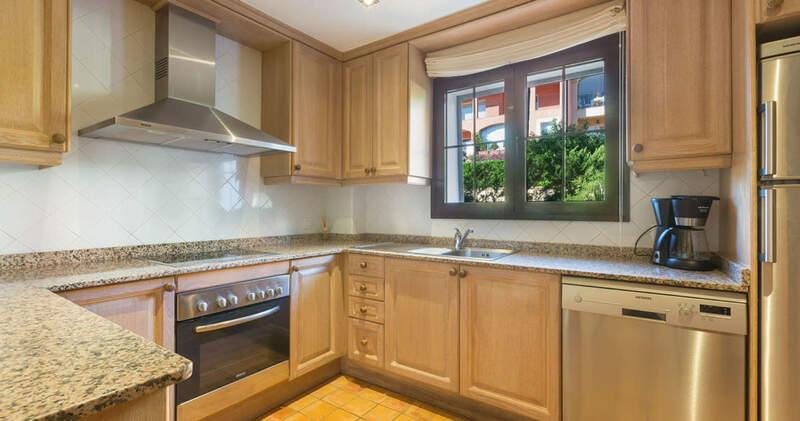 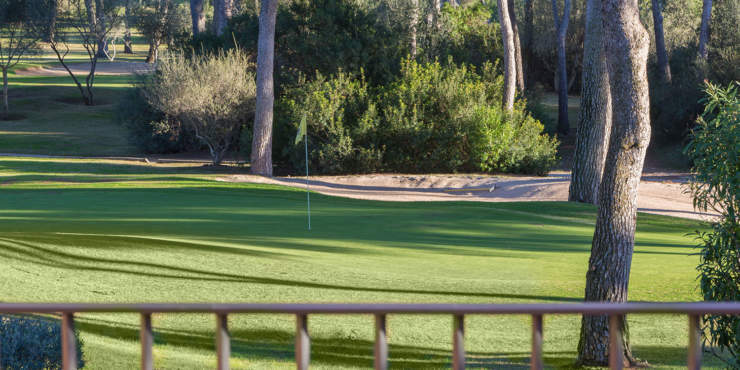 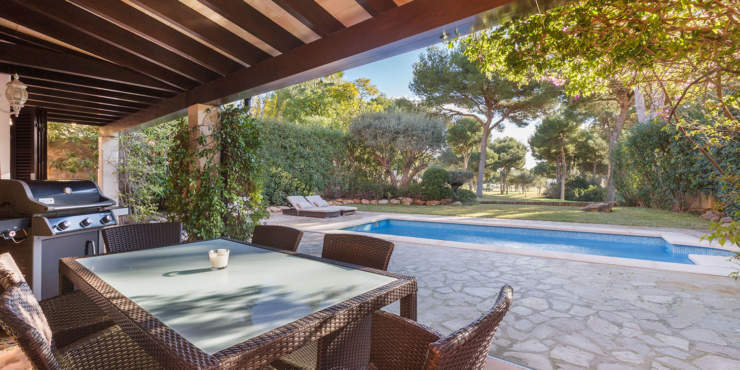 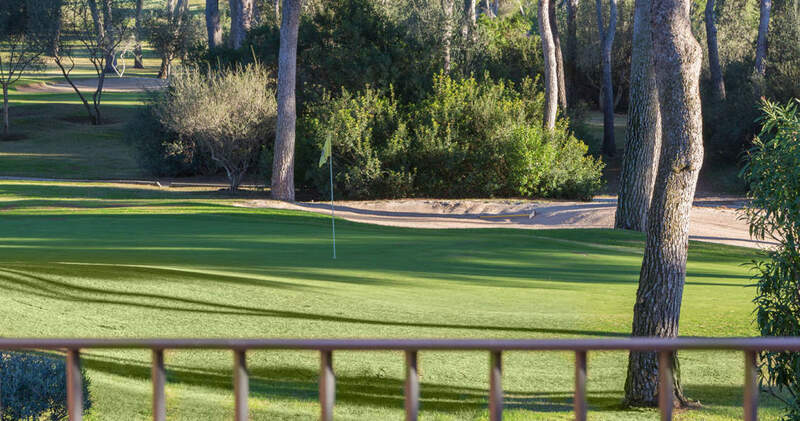 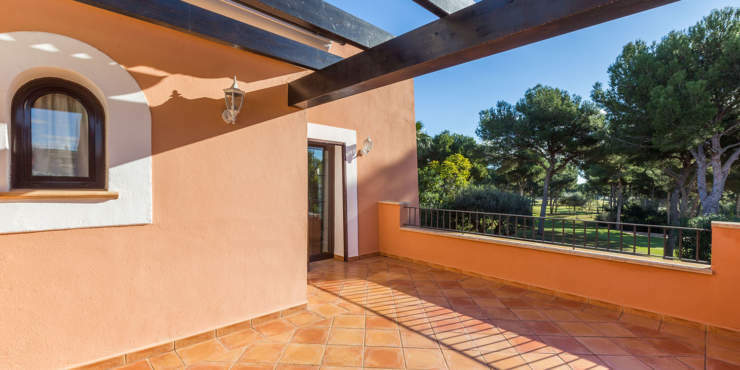 The Mediterranean garden with private swimming pool borders directly to the golf course Santa Ponsa III and includes open and roofed terraces, a barbecue, a storeroom and two parking spaces.